Serbian Geographical Society was founded in Belgrade, on Annunciation Day, April 7, 1910. Its founder is Jovan Cvijic, Serbia’s giant. It was the first geographical society in Yugoslav countries and the Balkan Peninsula, and it’s also a major cultural and educational event of the state of Serbia. Rules and the main tasks of the Society were determined then. It was found that contacts with neighboring sciences are to be nurtured, choosing one of their results, which are geographically important. Geographical Society will continue to deal with the trials of the Balkan Peninsula. 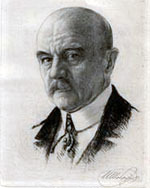 Jovan Cvijić was elected as the first president of the Society. He was not only the founder of the Geographical Society, but also its spiritual creator, agile president and valuable contributor of Glasnik journal. In the early years, the Society had 70 members, and already in 1970. it had 1,157 regular, 102 part-time and 56 honorary members. In the mid 70-ies, provincial societies of Vojvodina and Kosovo were established, which led to a drop in the number of members. Thus, in 1980, there were 550 regular members, 123 part-time and 10 honorary members. Today, Serbian Geographical Society has over 1,000 regular and 200 part-time and twenty honorary members. Scientific work was one of the main tasks of the Society since its inception. Results of the work were published in the scientific journal Glasnik and in special editions of Serbian Geographical Society.